The answer depends on your cat’s disability, age, and temperament. In some ways, traveling with a disabled cat is no different than traveling with any other cat. For instance, you will still have to look for pet-friendly hotels, and you will still have to bring supplies like a litter box and food. What are some general concerns about traveling with a disabled cat? The American Veterinary Medical Association (AVMA) has an entire page devoted to traveling with pets on their website. They recommend that anybody traveling with a pet bring their veterinarian’s contact information. They also advise travelers to carry a list of veterinarians and emergency hospitals in or near their destination. If you’re traveling by car, you should keep a list of vets along your entire route. You should also have a copy of Fluffy’s medical records handy, and they should include a list of any medications she needs. Obviously, you should also bring enough of Fluffy’s medicine to cover the trip, plus a few days’ extra in case of delays. Similarly, you should bring along any special equipment she needs, such as a mobility cart. The AVMA’s travel advice applies to all pets, regardless of their health. While the Wheaton Animal Hospital agrees with their recommendations, they add others that apply to “special needs” pets. For the record, they define a “special needs” pet as one that is very young or very old, as well as physically disabled or undergoing treatment for a serious illness like cancer. The Wheaton Animal Hospital reminds travelers to make sure that the trip does not conflict with any scheduled visits to the vet. Similarly, they urge owners to take their cat to the vet to make certain they are up to date on all their shots and are healthy enough to go traveling. 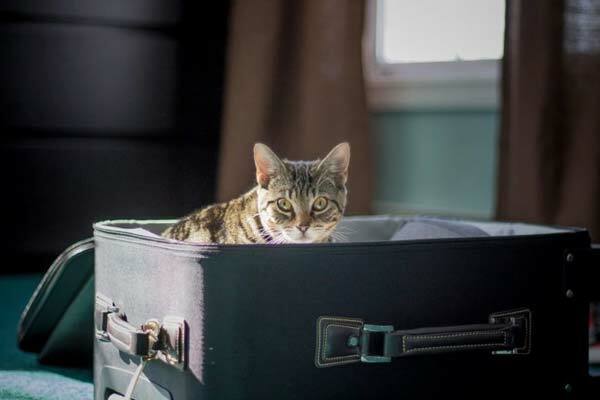 The vet can also advise the owner about any special precautions they need to take to keep their cat safe and healthy during the trip. The Wheaton Animal Hospital seems to be particularly concerned about pets with weakened immune systems. If that description fits your cat, you need to do everything possible to reduce her exposure to sources of disease, particularly if you go somewhere that has a lot of people or animals, such as a rest stop or airport. You should keep your cat away from strange animals and other possible contaminants like shared toys or food dishes. Samantha Drake, a writer for the PetMD website, recommends packing a First Aid Kit so you can take care of minor problems. The First Aid kit should include items like antihistamines, bandages, cold packs to reduce swelling, and extra water to keep Fluffy hydrated. She also urges pet owners to familiarize themselves with their pet’s vital signs, so they can better tell what is normal and what isn’t. What are some common disabilities in cats? Cats are mammals like humans and can thus have many of the same health problems or disabilities. Dr. Jennifer Coates, a veterinarian who writes for PetMD, lists seven common genetic disorders in cats. She describes their symptoms, treatments and the breeds most likely to develop them. Feline lower urinary tract disease (FLUTD) is the most common genetic disorder in cats and affects about one in 25 cats. Symptoms include painful urination, straining to urinate, passing only small amounts of urine, and urinating outside the litterbox. Treatment for FLUTD can include medication, dietary changes, and encouraging the cat to drink more water. Unlike many other genetic disorders that are most common in certain breeds, FLUTD can affect any cat. 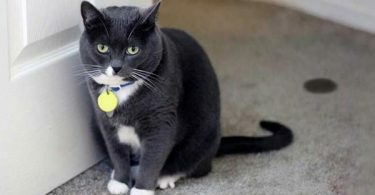 Cats with diabetes are more likely to develop the Type II variety seen in humans. Also, like humans, diabetic cats need insulin injections. If you suspect your cat may be susceptible to diabetes, you can try and prevent her from developing it through exercise and feeding her a high protein/ low carbohydrate diet to control their weight. Symptoms of diabetes include increased urination and thirst and weight loss despite a hearty appetite. Manx Syndrome is caused by the same mutation that causes taillessness in Manx cats. Cats with Manx Syndrome suffer a variety of neurological problems that can affect the cat’s back legs, bladder, and bowel. Polycystic Kidney Disease (PDK), which also affects humans, causes fluid-filled sacs to develop in the cat’s kidneys. Over time, the cysts can cause kidney failure. Early symptoms of PDK can include lethargy, weight loss, increased urination and thirst, and loss of appetite. Treatment includes medication, dietary changes, and fluid therapy. Hypertrophic Cardiomyopathy is a type of heart disease, and it usually affects young or middle-aged cats. They either develop heart failure or die suddenly. There is a genetic test available. White cats with blue eyes often have an abnormal gene, W, that affects the development of their inner ear. Many are thus congenitally deaf. While deaf cats are generally healthy, they should be kept indoors for their own safety. Progressive Retinal Atrophy is a condition that causes blindness in middle-aged or older cats. There is currently no cure. Like deaf cats, blind cats should be kept inside. What is a blind cat like? Blind cats are often as healthy as other cats, however, since they can’t see, they prefer familiar surroundings even more so than sighted cats. According to Petcha, One of the main challenges in traveling with a blind cat will thus be keeping her calm and happy during the trip. A synthetic pheromone-like Feliway can help reduce the cat’s anxiety. In the following video, Baba’s owner describes life with a blind cat. She said it took him several days to memorize their home’s layout and thus how to find his way around. If she moved a piece of furniture, there was a good chance that Baba would walk into it. According to Cornell University College of Veterinary Medicine’s website, feline cognitive dysfunction is a degenerative neurological disorder that is the feline equivalent of Alzheimer’s disease or senile dementia. It is seen mainly in cats that are at least ten years old. Cerebellar hypoplasia is a congenital disorder that affects both cats and dogs. 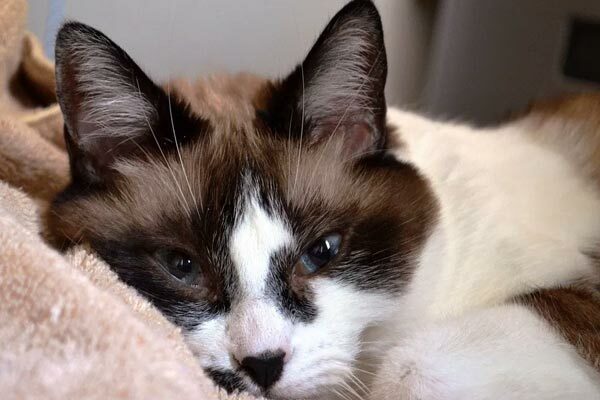 Keller’s Kats Rescue describes it as being similar to ataxic cerebral palsy in humans. It affects the cat’s coordination and fine motor skills. The condition ranges in severity, so an affected cat might occasionally lose its balance—or it might not be able to walk at all. Cats with mild cases of CH need little to no special treatment, while cats with severe cases may need mobility carts and other assistive equipment. What is a mobility cart? A mobility cart is basically a wheelchair designed for cats. According to the Best Friends Animal Society website, a mobility cart is a lightweight cart that helps cats with a variety of conditions that impair their mobility. Such conditions can include cerebellar hypoplasia, paralysis, birth defects, some types of heart disease, and injuries. Mobility carts come in two main types: two-wheeled and four-wheeled. The two-wheeled carts are for cats whose back legs don’t work properly, while the four-wheeled carts are for cats whose disability affects their forelimbs or all four legs. Your veterinarian can advise you if your cat needs a mobility cart and which type would be most beneficial. Since cats have exceptional balance and agility, some get around just fine even after losing one or more limbs. In the following video, Jackson Galaxy meets one such cat, Lil Bunny Sue Roux. She was born without forelegs and has learned to walk on her hind legs like a kangaroo. Like cats all over the world, however, she hates cat carriers. Jackson teaches her owners how to coax her into the carrier. What is a drag bag? A drag bag is used to protect the hindquarters of a cat or dog with paralyzed hind legs. Such animals can develop sores or abrasions from dragging their hindlimbs on the ground. A drag bag has a yoke or vest to keep it in place. Many models come with diapers for incontinent animals. What are some other devices that can help a disabled cat? 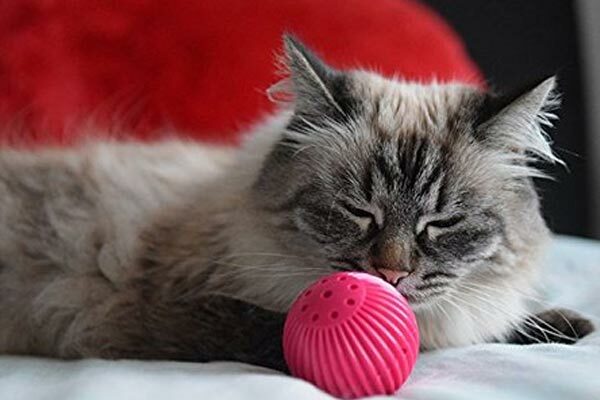 According to Catster, There are a variety of assistive devices designed for cats. You are bound to find something that can help your cat regardless of the type of disability she has. Crystal Fogg, a writer for Catster.com, describes some examples. Traction boots can help cats with mobility issues keep their balance when walking on slick surfaces like hardwood or tile floors. You can also cover such surfaces with throw rugs. 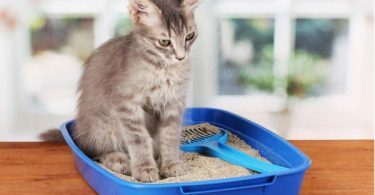 Many disabled cats have trouble with the usual high-walled litterbox. Fogg suggests converting an old cat carrier into a litterbox by simply removing the top. Many litter boxes have a lower lip at the entrance that makes it easier for the cat to get in. If your cat can’t walk or stand at all, you can use puppy pee pads. Portable ramps and stairs can help cats that are older and/or have mobility problems reach their owner’s bed or other high places more easily. Ramps are particularly useful for cats that use mobility carts. Cats with mobility issues also do better with cat beds that resemble miniature sofas with a low front and high back and sides; the latter will provide cushioning for your cat if she falls over. Ironically, there are many dog beds that fit this description, so you may want to visit the dog section of the local pet store when looking for a new cat bed. There are even toys for disabled cats. Noisy toys, like anything that crinkles or contains a bell, are good for blind cats. The various wand toys or laser pointers can help a cat with their eye-paw coordination. Can you take a disabled cat on a plane? It depends. Flying is stressful for cats, so if she has a serious illness, the answer is probably going to be “no.” You need to discuss the matter with your vet. They can tell you if your cat is healthy enough to fly, and they can advise you on how to make the experience as painless as possible. Many airlines have restrictions regarding the size and breed of a pet. Most airlines won’t accept brachycephalic animals like Persians or French bulldogs because of their increased susceptibility to respiratory problems. If Fluffy is given a clean bill of health, you should get her the largest soft-sided carrier that the airline allows. Soft-sided carriers allow animals to spread out more and are more comfortable. What products help keep a cat calm? Cats, generally, get stressed when they travel. That stress can exacerbate their physical condition or lead to such unpleasant behaviors as nonstop crying. There are some products you can use to help a scared cat remain calm during your trip together. The Thundershirt, for example, is a compression vest that has the same effect on a cat that swaddling does on a baby. It produces a constant and gentle pressure that many cats find soothing. Many products incorporate synthetic pheromones that also make cats feel more relaxed. Examples include Feliway, which can be sprayed into a cat’s carrier or put in a diffuser that is plugged into a wall outlet. There are even anti-anxiety cat foods and treats. Many of these contain tryptophan or alpha-capsazepine, which can calm a cat or even make them feel sleepy. Some foods can also soothe an upset stomach.